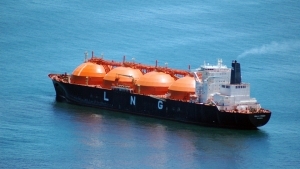 For the global LNG industry, is the FSRU honeymoon over? The Egypt-Israel gas deal: What are its chances? Gas for peace or war in eastern Mediterranean? When Can Egypt become a net gas exporter again? With total proven reserves of 65 trillion cubic feet at the end of 2015, Egypt is the 16th largest gas reserve-holder globally, says BNP Paribas. Egypt has laid out its vision to become a regional energy hub following discoveries of large offshore gas reserves in the Eastern Mediterranean. This vision is critical as the energy sector remains the major driver of the country’s balance of payments. Recent developments suggest that Egypt has a clear potential to become a trading and exporting hub, notably for natural gas. BNP PARIBAS stated that Egypt is viewed as a world-class hydrocarbon area with active drilling in four basins, including in the Mediterranean, which holds 65% of the country’s total gas reserves. The study added that the Exploration and Production (E&P) segment is critical for the Balance of Payments (BoP) as it typically contributes two-thirds of incoming gross foreign direct investments (FDI) with at least four oil majors among the top 10 foreign investors in Egypt. The study stated that hydrocarbons also underpin Egypt’s trade balance and account for nearly half of total exports, mainly in the form of light crudes and naphtha. Furthermore, as the largest source of corporate taxes in Egypt, the energy sector strengthens fiscal stability. BNP Paribas said that Egypt’s energy sector boomed in the early 2000s, driven by strong domestic demand and Liquefied Natural Gas (LNG) exports. Gas production increased more than three-fold between 1999 and 2009. “Since 2010, however, sharp macroeconomic deterioration and structural natural resource trends have pushed the sector into difficulties. The first hit was the decline in offshore Mediterranean gas production as a result of reservoir maturity and stalled investments. The production of four of Egypt’s major offshore gas fields started to decline in 2012 as they had been discovered and developed at the same time in the mid-1990s. The second hit was the accumulation of Egyptian General Petroleum Corporation (EGPC) arrears to upstream investors peaking at $6.3bn in 2012 (2% of GDP) as a result of mounting fiscal deficits and deteriorating external liquidity during the political transition,” the study read. According to the bank, the third hit came from the decline in crude oil prices in 2014/15, thereby discouraging foreign investment, especially in high-risk deepwater exploration. Egypt became a net gas importer in fiscal year (FY) 2015/16 with a hydrocarbon external deficit of $3.6bn compared with a surplus of $5.1bn in FY 2009/10. BNP Paribas said that a series of policy measures was undertaken to rebalance the energy sector. In the short term, the government secured concessional fuel supply agreements with GCC sovereigns and launched LNG imports fulfilling 25% of domestic demand. In the medium term, the government repriced gas offtake from new blocks by 40-120% and upwards to incentivise production and auctioned large exploration acreage at competitive terms to accelerate reserve replacement. On the financial side, the government allowed some onshore producers to export 50-75% of their equity oil, the share by which the state can claim entitlement right, in order to decelerate the build-up of arrears. That, combined with a series of material payments to targeted E&P operators, has indeed halved EGPC arrears to $3.5bn. However, the study showed that the outstanding receivables continue to be a major constraint for new E&P investments primarily in gassy portfolios. “The turning point was the discovery of the Zohr jumbo gasfield in August 2015. This gasfield, with its recoverable reserves of 22tcf, has not only replenished Egypt’s total gas resources by one third, but has also been fast-tracked to start production in 2H 2017,” says BNP PARIBAS. The bank believes that Egypt is currently replenishing most of its gas production with new discoveries and is likely to achieve self-sufficiency by 2019. These new discoveries are comprised of two large offshore projects, Zohr and West Nile Delta, in addition to the smaller Noroos and Atoll fields that should jointly produce 5bcf/d at plateau representing 1.1x of Egypt’s current total gas production. Further discoveries of small and fast-to-plug plays such as Noroos and North Alam El Shawish have boosted investor confidence and attracted new entrants to the sector. When can Egypt become a gas exporter? While Egypt is on track to regain a gas surplus by 2019, BNP Paribas believes the challenging question is how long it can remain a gas exporter. The prime consumer of gas is electricity generation, which burns 60-65% of Egypt’s gas output. Gas consumption is dependent on both structural trends in demand and availability of energy for end-users. While gas consumption markedly rose during the first half of the 2000s, it has been almost stable since 2011 given shortages. The study expects that, in the short term, domestic consumption should rise substantially due to the commissioning of Siemens’ 14.4GW combined-cycle generation plants that would add 37% to the national installed power capacity. The key factor driving electricity consumption is population growth because two-thirds of power output is consumed by residential and commercial customers. Population growth is one of the highest in the Middle East and North Africa (MENA) region, a trend that is likely to last beyond the medium term due to Egypt’s youth boom (one-third of the total population is under 14). Another source of gas demand is gas-intensive industry (steel, fertilisers), which is expected to return to full utilisation in step with the economic recovery. Here, Egypt has to choose between exporting surplus gas in either LNG in order to accumulate foreign exchange reserves or industrial forms in a way that maximises factors of economic development such as employment and industrial integration, the study noted. Pursuant to demand management, Egypt is challenged to manage gas supply, says BNP Paribas. Some producing legacy gasfields suffer from high rates of decline in production (12% annual average). While the four key offshore discoveries are being fast-tracked, they have varying production plateaus ranging from 11-18 years (Atoll, Zohr) to much shorter 3-5 years (Noroos, West Nile Delta). Replacing declining offshore production necessitates further exploration investments to proactively sustain Western Desert production that should start naturally declining in 2-3 years, albeit at smoother rates. The study believes that under the conservative assumption that gas consumption will grow by 4% per annum on average in the medium term and based on Wood Mackenzie’s gas production forecasts (production to peak in 2021 and decline afterwards). “Egypt’s capacity to export gas may not last beyond 2022,” says BNP Paribas. “We believe that Egypt can sustain gas exportation only if further discoveries are made and subsequently developed. That is partly achievable if EGPC arrears are repaid on a regular basis to provide the needed certainty for private E&P investments,” the study read. However, BNP Paribas said that in order to free up gas capacity for export, Egypt has to diversify the energy mix away from fossil fuels. Hydrocarbons made up more than 95% of primary energy consumption in 2015. Although Egypt launched an ambitious renewables strategy aiming to increase the contribution of solar and wind resources to 20% of power output by 2022, progress has been rather slow and restricted to public projects rather than Independent Power Producers (IPPs“As renewables accounted for only 0.5% of Egypt’s power generation mix, it will effectively take a long time for the country to reduce its dependence on gas for power generation,” according to the bank. However, Egypt is expected to become a net gas exporter by 2019, the study noted. Can Egypt become an East Med gas hub? IESC Cyprus offers one stop solution for disposing Drilling Waste produced during Oil & Gas Exploration Activities. With state of the art technology the company offers complete treatment and recovery of soil (R5) and liquids (R3). © Lebanon Gas News, 2015.